And so TV’s biggest will they/won’t they story comes to a close – no, not the latest Love Island shenanigans ha ha! But the relationship between Controller of Channel 5 Ben Frow and Big Brother. It’s over. Tonight’s civilian launch will be the last one on the channel and it will be interesting to see how and indeed if it goes out with a bang. On the one hand they’ve been very clear to use the words “the original social experiment” (TV’s most meaningless two words) in all the promo. On the other hand, this final series is meant to be “the most competitive ever” with “mind games” aplenty. On the one hand I’m sad – I have several friends who have worked on the show variously and they’ll be looking for work, and as a show it pretty much defined my twenties. On the other hand as I get older I find having to give over an hour plus a night to something more like work than entertainment – I still follow the show but the actual amount of times I watch it past launch night is pretty low, at one point Bit On The Side was proving more of a must-watch than the show it was talking about. What next for it? The council have extended the permission to keep the house up for a further three years, almost certainly speculative on Endemol’s part. It’s jumped channel once before, could it do so again? The problem is I can’t see BBC, ITV or Channel 4 picking it up and presumably it has no chance on another Viacom network. I don’t think ITV2 would touch it, not at the likely rate Channel 5 were paying which to all intents and purposes was pretty low in the first place, and would probably seem old hat in comparison to Love Island, although if LI has proved anything it’s that there is a possible audience for this kind of thing. There’s an idea floating round that they could do it US strategy-style for Netflix. I never really thought the strategy-style would work over here, I can’t see the average Brit getting excited by “WHO WANTS TO SEE MY HOH ROOOOMM! !” and tediously identiscripted “ceremonies” to point where the average viewer would just tell everybody to get over themselves. I fear being an international streaming service they will try and make it more palatable for Americans and will be edited and put together as such, but with quaint British accents. 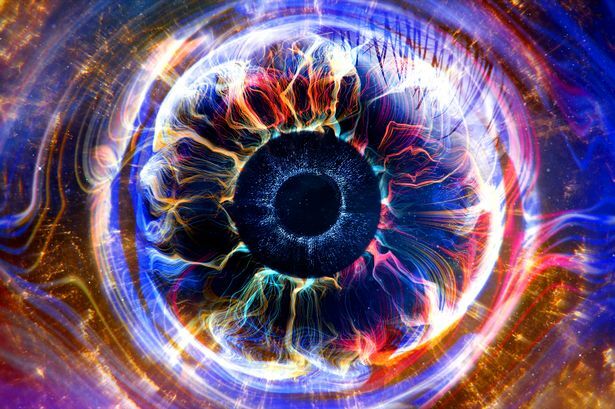 So there we are, I find it difficult to see where Big Brother could potentially go in the future. Still, they’ve got three years on the lease, what are the odds on The Big Brother Live Experience at some point? Nominate Your Friends! Do A Task! Have a Cold Shower! Talk To Big Brother in the Diary Room! Argue over shopping! Evict Your Friends! Get booed! 60 minutes for £50 a head. I know some of the BB fans won’t be pleased at this, but the show desperately needs a rest which is good as I can’t see anyone else touching it at the moment. Don’t get me wrong, I’ve been a huge BB fan but I think it needs to go away for a while and make hearts grow fonder. Like the X-factor, it’s a law of diminishing returns, which is a bit of a danger when it’s a show that is supposed to skew to the youth market and it’s something your mum used to watch. Can’t honestly see it going to any streaming service who want global appeal. ITV have BB in the sun with Love Island (a good example of “resting” a brand, even if it is a vastly different show than what it once was), the Beeb and 4 won’t be interested. A couple of people have bandied Sky about, but where? Sky One is the only fit, they are moving towards family and box set type culture (First episode on tonight, the rest ON DEMAND). Their goes at reality and poaching never seem to go that well either. (Don’t Tell The Bride and Sing jump to mind) Plus, do they need it? Maybe it’ll come back in 2021 – 21st Anniversary one off series on C4? Even that seems too soon. Bah, I do know the difference between There/Their/They’re, honest. Long week! ITV have just announced a new series of Millionaire coming next year, still with Clarkson hosting. I liked the anniversary specials, I just hope they’ve fixed all the problems with the graphics that had. Does anyone know a) when Chase the Case is starting and b) if ITV have recommissioned Millionaire? I’m not sure it has been announced yet. Let’s hope someone can help us out! The description of Chase the Case sounds interesting, but like most new shows I’ll probably make up my mind too quickly after watching the first episode which is unfair on the show because in the first production block there are often still a few creases to iron out. Starts on Monday at 2:15 by the way. Wow, the launch of Big Brother tonight was genuinely superb. Even the twist shows potential which is rare indeed. Honestly, the “BigCoin” twist as a format change feels like a permanent change that could work? Early doors, but it feels production have found a compromise between UK and US Big Brother that would feel fresh? LOVE the BigCoin thing, although I hope it’s been well thought out and not something they’ll just forget about in a fortnight. I’m hoping they go all season with it, and the big twist is that the coins determine how much the winner eventually gets Genius-style (anything spent on advantages/luxuries/etc. are lost, but when a person is evicted their remaining coins go into the pot for the winner- say 1 coin = £100, so there’s over £10,000 in the game right now- Sian’s 100 plus however many coins were grabbed up in the live show). I was amused when Aussie BB did a thing where everyone had a cube representing a share of the prizemoney and when you are evicted you had to give yours to someone else, and at the end one person ended up with all of them and at no point was it especially relevant. Yeah it was totally pointless because they kept it going all the way up until the person who finished runner-up had to find SOMEBODY to give their share of the prize to. Had it been set up so each player’s starting share been higher than [the intended total prize]/[the number of players left when they were given out], and then cash was removed from the game with the evicted finalists, it would have been much more interesting. Like from memory it was $250k split ten ways, but if they’d set it up so there was a total of, say, $400k available and still the same number of finalists, then at WORST you’ve got one of the three finalists playing for $320k and the other two for their own $40k each, and probably a much more even distribution. It’d be a good way to keep the prize down without actually appearing to do so. Funnily enough, the season before that twist Aussie BB actually did a version of the proposed BBUS twist, where the prize fund started at $0 and they won cash towards the prize by passing shopping tasks. Basically, The Mole without a Mole. If they do, you’ll just have to invent BrigCoins for the next Bother’s Bar Game NIght. Ha! Yes that will definitely be happening. And where do you store your BrigCoins? In your Briggy Bank!